San Francisco Bay is the largest estuary on the West Coast, and in recent years much effort has been spent restoring tidal marsh habitat in the Bay. 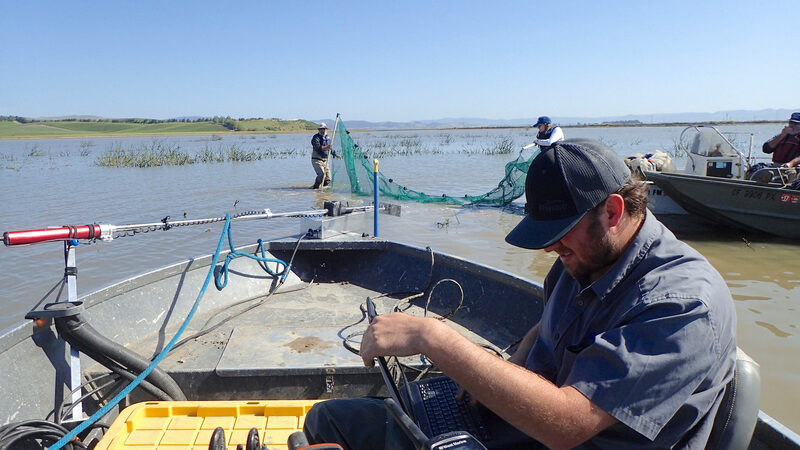 FISHBIO conducted seasonal surveys of the Sears Point Restoration Project, a recently restored 1,000-acre tidal wetland along the northern portion of San Pablo Bay. We used the ARIS sonar camera to examine the fish community in the restored area, and compared fish abundances to those recorded by traditional seining and trawling methods. Project developers had incorporated a number of unique designs into the restoration project, including root wads and marsh mounds, which they hoped would provide habitat and increase the amount of sediment deposited, and wished to see how the fish community was using these features. Project results revealed extensive use of the newly restored habitat by a variety of fish species, although relatively few differences were observed among habitat types. Nearly 75 percent of the total fish catch consisted of native species, with more than half of those being bay gobies. Higher fish abundances were recorded using the ARIS camera compared to traditional sampling gear, and reviewing the footage revealed notable avoidance behaviors of both beach seines and trawl nets, particularly among larger fish. 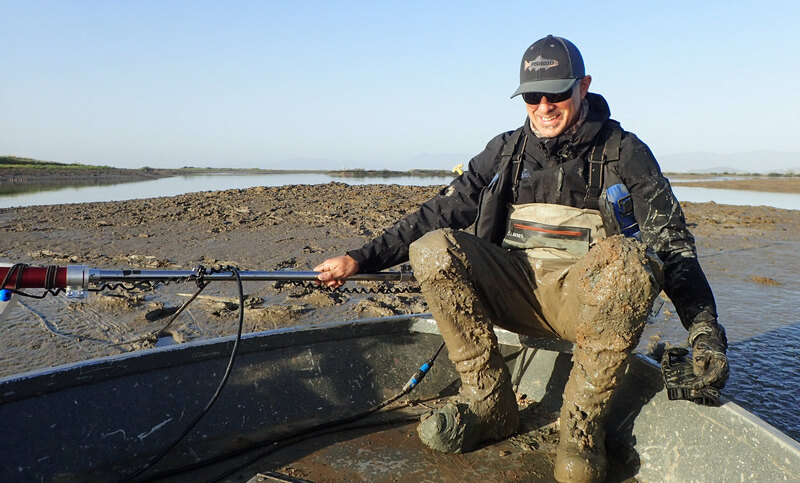 This project demonstrates that effectiveness of the ARIS for surveying fishes in the estuarine environment, especially in areas with submerged aquatic vegetation or uneven rocky substrates that present challenges for traditional sampling gear.